Takaw! 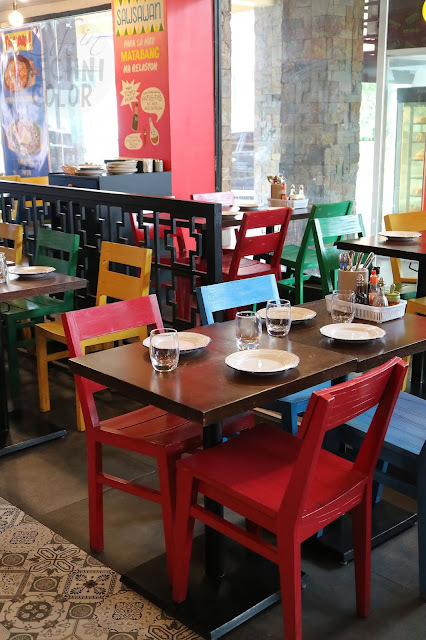 is this Filipino Eatery that Chef Myke "Tatung" Sarthou opened in Greenhills. 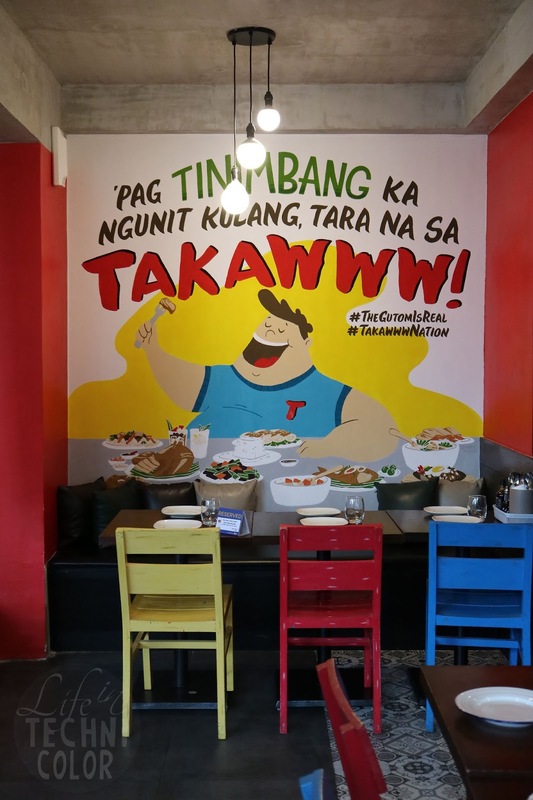 Chef Tatung is an award-winning chef and author, so it's safe to say that Takaw is place worth visiting especially if you’re looking for classic Filipino dishes that you grew up with. Why not just have them at home, you ask? 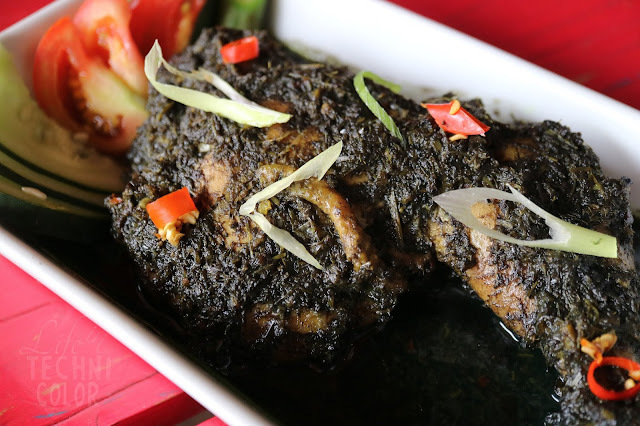 Well, let’s face it, there are days when we don’t feel like eating at home or preparing an entire meal for the family. Sometimes we want to walk around malls and see what’s new. The same goes for restaurants - we want to eat out and enjoy a different ambiance.. plus, it’s not like they taste exactly the same, right? 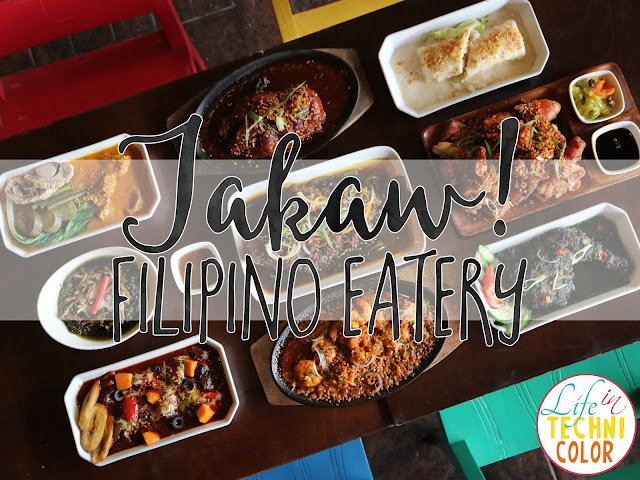 We got to dine with Chef Tatung himself and I thought it was pretty funny when he told us he came up with the names for Takaw’s dishes. 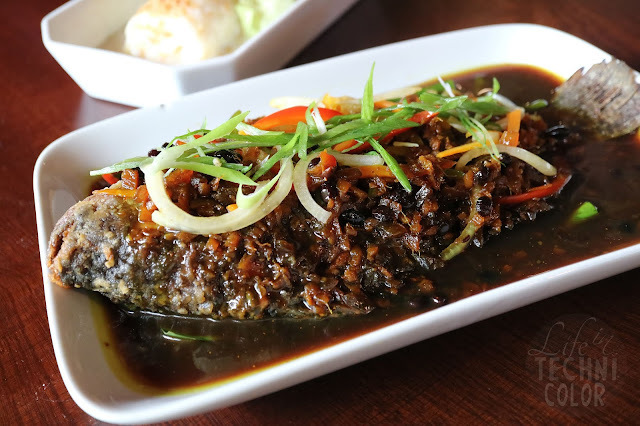 "Escabetcha By Golly Wow" is Eskabetcheng Tilapia, "Talong and Winding Road” is Tortang Talong, "Bulalove Me Like You Do" is Bulalo, and "Rellenado in the Deep" is Camaron Rellenado! 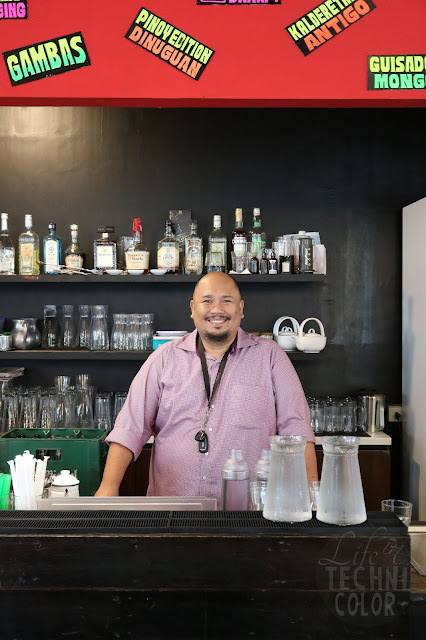 Great Chef na, funny pa!! The menu will certainly keep anyone entertained while waiting for their food to arrive. 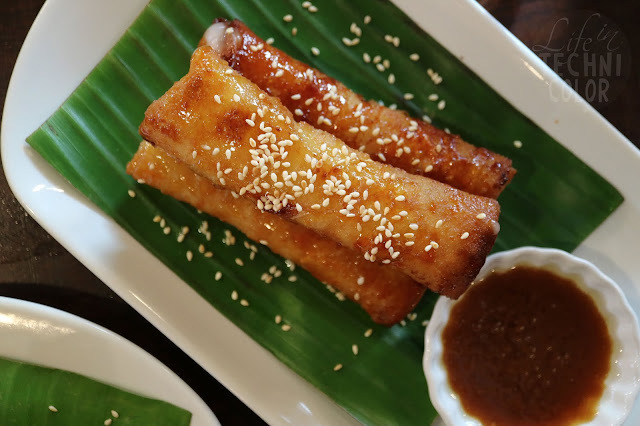 I’ve always loved all sorts of lumpia, especially lumpiang sariwa and lumpiang gulay. 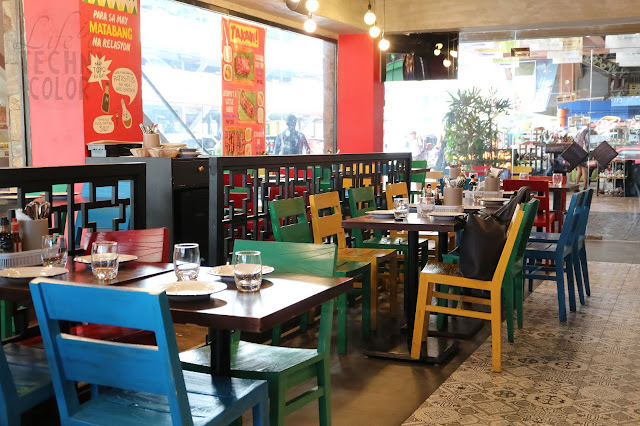 Takaw’s take on it may be a bit on the pricey side but it’s definitely worth a try. Never was a fan of fish - in fact, I normally skip it. But the fact that their tilapia came with sweet and sour sauce made it more appealing for me. I was surprised with the flavor since we usually have tilapia with soy sauce at home, so this was a welcome change from my usual. CHEESE!! 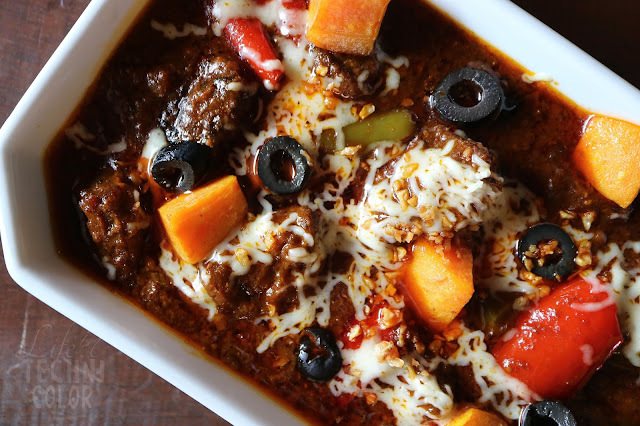 I’ve always been partial to anything with cheese in it, and I really liked that the beef in this one was tender. 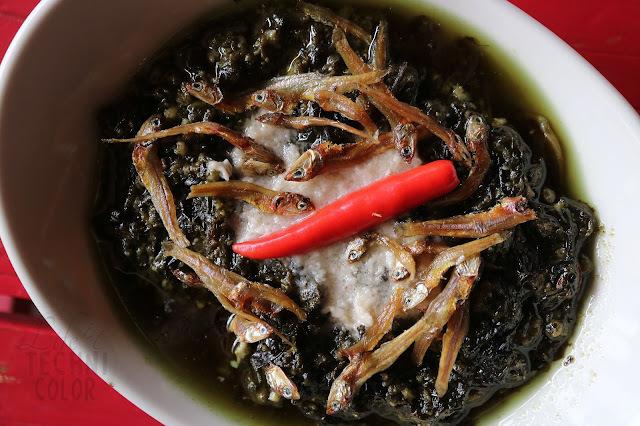 Super swak with rice! This isn’t the first time I’ve had pianggang. I thought the sauce needed more flavor, so overall, this was just okay for me. may tama itong pata na ito, ‘di lang crispy, spicy pa at loaded ng fried garlic. Truth be told di siya guilt-free, pero must-order talaga when #TheGutomIsReal! Don’t panic, may regular version din. The skin remained crispy even though we didn’t get to eat this immediately (photos always come first :P). 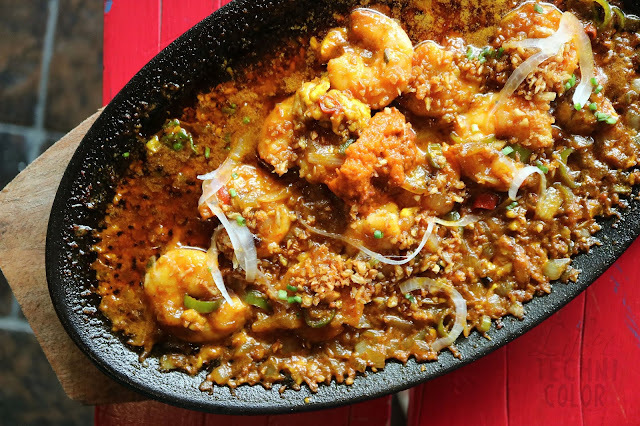 I like the fact that they made this one spicy and topped it with tons of fried garlic - it just made it all the more appetizing for me. 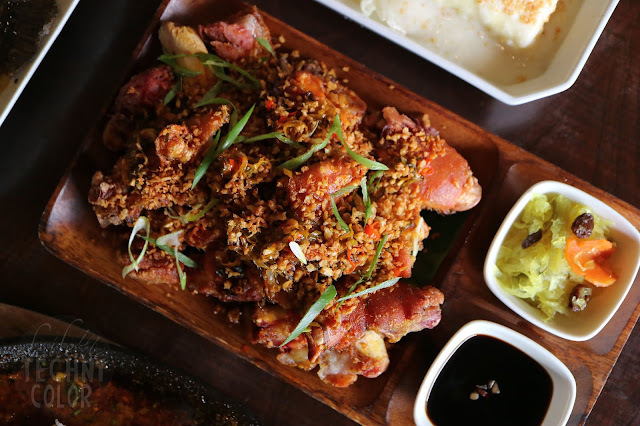 I’m not a huge fan of crispy pata, to be honest, but I really enjoyed this one. 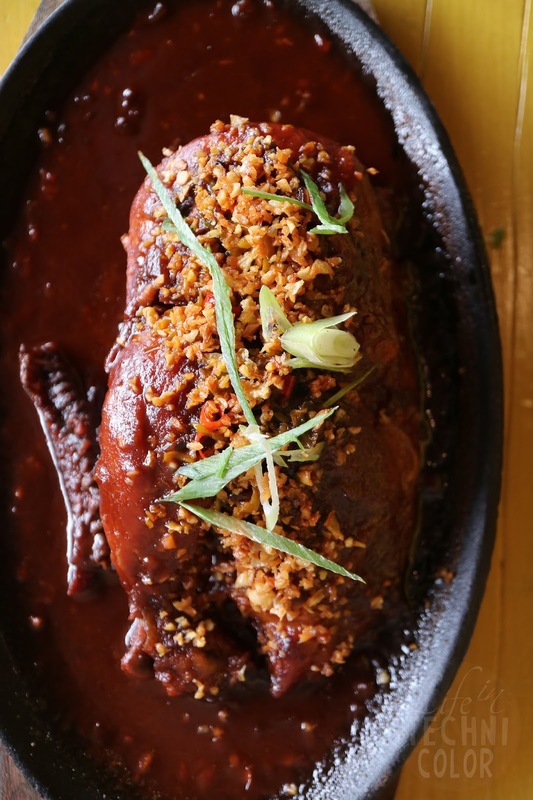 The bagoong and sauce go together perfectly! 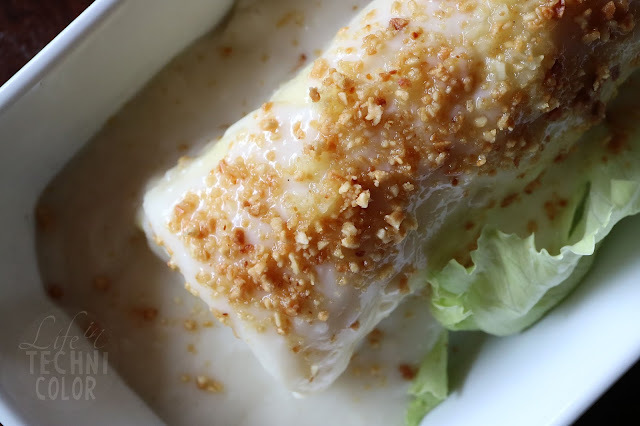 If you’re fan of tripe, you’ll be glad this one has huge servings of it! Something new - sizzling. spicy. barbecue. chicken. I feel like this combines different favorites into one. I mean, barbecue chicken is delicious enough, but to serve it sizzling and with extra spice? Damn. Sarap. 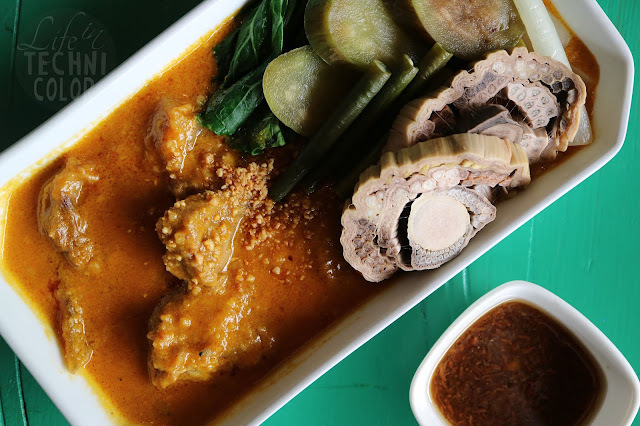 minsan being a hipon is a good thing, have you ever tried hipon na ginisa sa utak ng baboy at taba ng talangka? Now you can. Probably the most sinful plate of gambas you’ll ever find in the market. 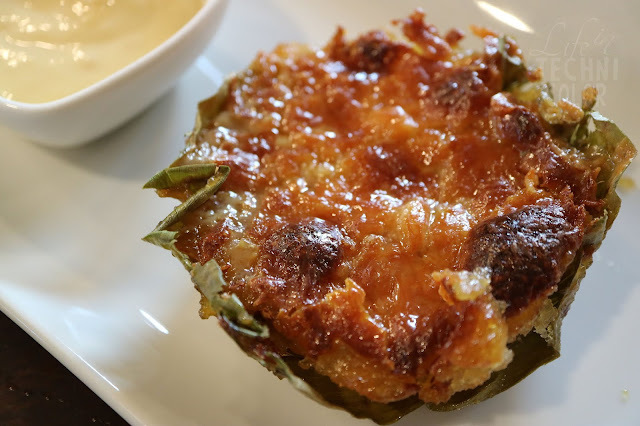 I wasn’t expecting much with this one since I’m not big on buko pie, but the elements go really well together, especially with the latik dip! It definitely makes all the difference. 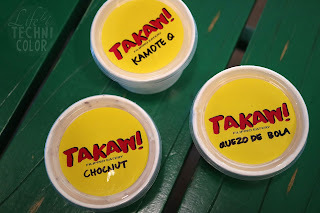 Chef Tatung also came out with his own versions of Quezo de Bola, Chocnut, and Kamote Q ice cream! Takaw! 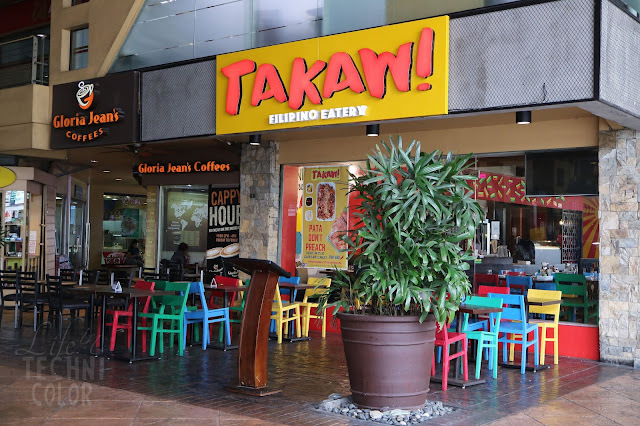 is located at the ground floor, Theater Mall, Greenhills, San Juan City.